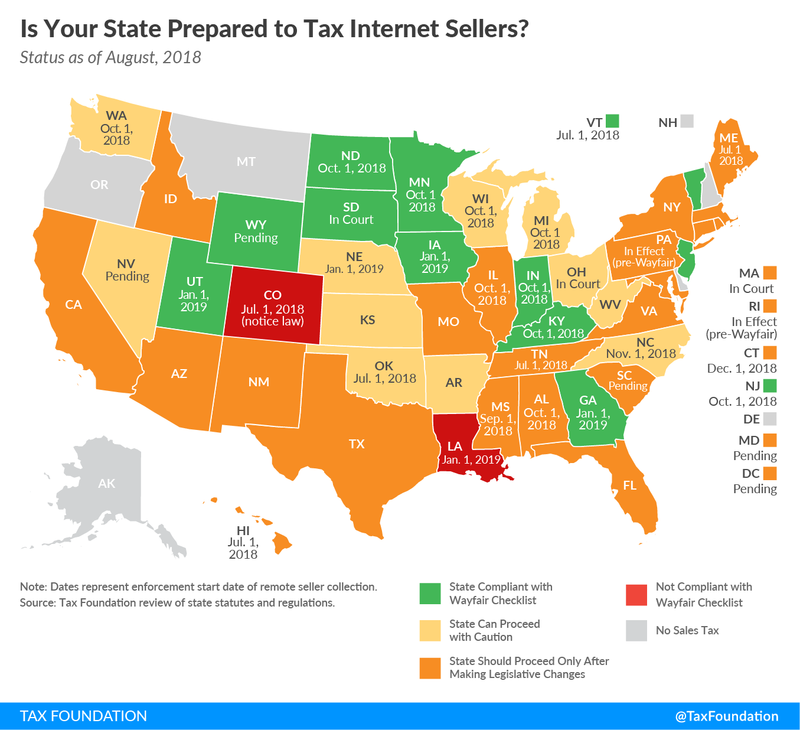 In the three months after the U.S. Supreme Court’s Wayfair decision authorizing states to collect sales taxes on internet purchases, 32 states began considering enabling legislation and regulations. After resisting federal action for a quarter century, the U.S. Congress held a hearing to consider its next move, and several bills have been introduced in the U.S. House. The questions we’ve gotten at the Tax Foundation from officials in nearly every state have been: Should we pass legislation? Should it be like South Dakota’s? What should the de minimis threshold be? What should we do about marketplaces? What is Congress going to do and when? Should we join Streamlined? What should we do with the additional revenue? Should we lower and reform other taxes? The Tax Foundation’s State Tax Reform After Wayfair (STRAW) Working Group provides an intimate setting for business and tax policy leaders to strategize about the best way to engage in this debate and ensure good policy happens in this area. STRAW is coordinated by Tax Foundation Executive Vice President Joe Bishop-Henchman, who authored numerous reports on nexus issues and has testified five times to the House Judiciary Committee. The Tax Foundation was the only organization asked by both sides in the Wayfair case to file a brief on their behalf. Our brief in support of neither party, which successfully urged the U.S. Supreme Court to uphold the South Dakota law while laying out minimum standards for future state laws, was cited by the Court twice in its majority opinion. In 2019, we’re launching a large-scale campaign to capitalize on the opportunity of the Wayfair decision, head off the threat of problematic congressional intervention, take advantage of the chance to pair state enabling laws with other important tax reforms, and be a respected voice countering misleading narratives. Then click the link below to sign up for our STRAW Working Group.